Did you see Maisie Williams and Sophie Turner’s adorbs display of BFF’ness at the Golden Globes? These mega cute gal pals got us thinking about our favourite celeb buddies of 2016 so here’s our top 5. 1. Obvs number one is Kendall and Gigi. These model besties do double street style so well and give us major friendship envy every time they are pictured together. 2. The two most followed celebs on Insta, Taylor Swift and Selena Gomez are never quiet about their love for each other. After Selena won her first AMA, Taylor posted a video screaming at the top of her lungs. Girl love. 3. How cute is this photo of Blue Ivy Carter and Apple Martin hanging out before their parents Superbowl show? They are already doing sleepovers and brunch, so, like, goals. 4. Bosom buds Kim K and Chrissy Tiegen met for the first time in the toilets and bonded over Spanx so have a pretty solid friendship we reckon!! Kim threw Chrissy’s recent baby shower and was even called ‘Aunty Kim’ on her Snapchat when she met baby Luna so it’s pretty official. 5. 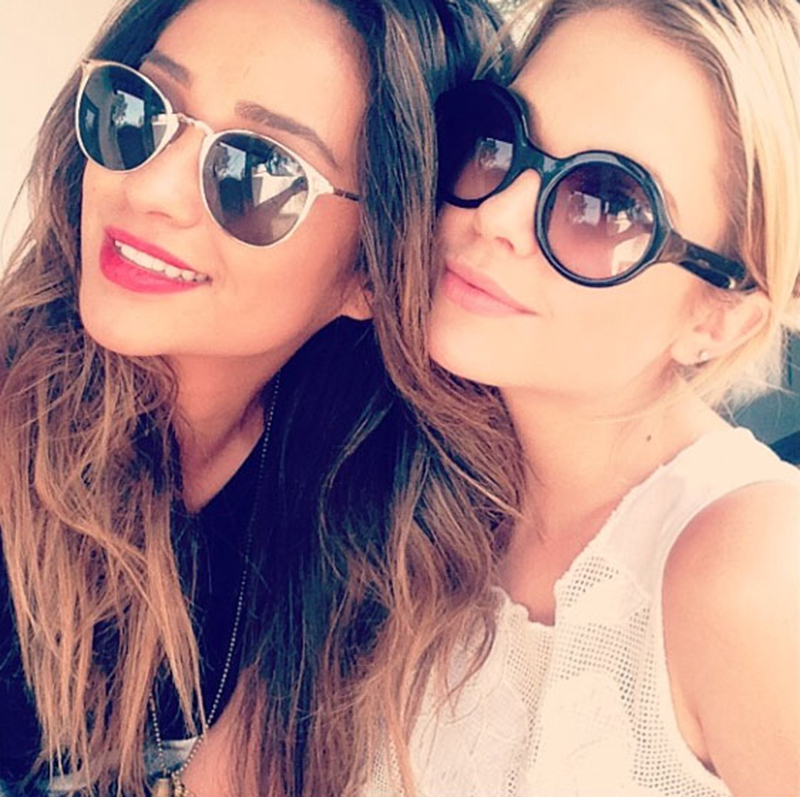 Real life and TV BFF’s Ashley Benson and Shay Mitchell said their friendship was “love at first sight.” Their Insta acconts are full of their trips to Hawaii and Coachella and they’re not afraid to share a little kiss so we love them too.